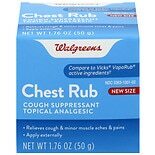 Shop Walgreens Chest Rub (1.76 oz. )1.76 oz. $549$5 and 49 cents$3.12 / oz. Get a little help feeling better by taking chest cold medications. 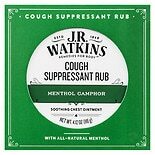 These cold remedies are made specifically for symptoms of a chest cold. 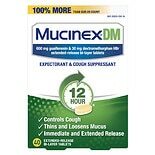 Most contain guaifenesin to loosen or break up mucus so that your coughs are productive. 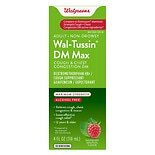 Look for the types of ingredients that may help you feel better in chest cold medications from brands such as Mucinex, TheraFlu and Tylenol. In addition to relieving congestion, chest cold medications can contain ingredients for other symptom relief. There's acetaminophen for pain relief and reduction of a fever. Phenylephrine is a nasal decongestant that can help make breathing easier while you've got a cold or flu. 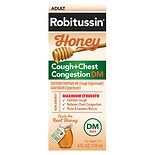 If you have a sore throat also, try a chest cold medication that contains a cough suppressant. 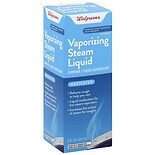 Stay comfortable and healthy throughout cold and flu season. You can take immune support supplements to help fend off infection. 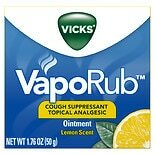 For direct relief of coughs and sore throats, choose from various flavors of lozenges and throat sprays that may contain oral anesthetics. Night time cold relief can help you get a better night's rest, while day time relief can help you feel better throughout the day.